Nithu's Kitchen : Welcome girls. Please tell us about you. Harini & Jaya : We are both sisters and former IT professionals. We have chosen to stay at home to take care of our respective families. Nithu's Kitchen : Harini, when did you start to cook. Who is your first critic. Harini : I started to cook as a teenager and was very much interested in cooking. Initially my brother was the main critic but after my marriage and move to the US, my dear husband has been the scapegoat for all my culinary experiments (Some good and some not so good!). Needless to say, he is my best critic and if he doesn't approve of the recipe, it doesn't get onto our blog. Nithu's Kitchen : Jaya, what made you girls to start a cookery blog. Jaya : When I got married and moved to the US, I had to depend on Harini for everyday cooking and any 'specials' as well. 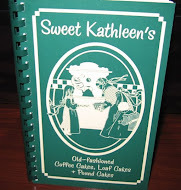 I used to call her often to ask for a quick fix for my cooking disasters! Slowly as I began to pick up the skills in the kitchen, I started to share my recipes with Harini.It kind of became too overwhelming at a point when we decided that we should keep a log of all the recipes exhanged so far! That was how our baby blog was born. The next project was to find a suitable name for it and after several ideas from our near and dear ones, we finally stumbled on this name 'Tamalapaku' and found it pretty suitable. 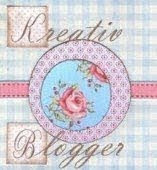 Both my sister and I being novices at designing a blog, we struggled to give it a pretty face. 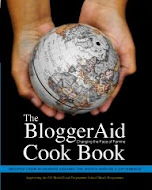 While she was busy churning out new recipes and clicking pictures, I got busy with the basic designing of the blog. 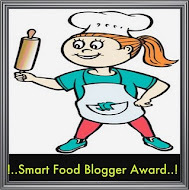 Nithu's Kitchen : Why did you select the name "Tamalapaku" for your blog? Harini & Jaya : When we were exploring various names for our blog, we were looking for names which signify some kind of sanctity and fulfillment/satisfaction etc. Incidentally 'Tamalapaku' in Telugu (our mother tongue) means A Betel Leaf. As many of you are aware, betel leaves have a great significance in Our Hindu Culture. They are used in every auspicious occasion be it puja or any kind of ceremony. They are also eaten as 'Paan' at the end of a hearty meal signifying satisfaction. So we thought this name would be appropriate,unique and appealing too. Harini & Jaya : Our aim is to learn and experiment new vegetarian recipes from around the world and share them with as many people as possible. What better place than the internet for this purpose! Nithu's Kitchen : Did you girls ever cooked together and encountered with a mishap. Do share one such unforgettable incident and the lesson you learnt from it. Harini : We don't remember both of us in the kitchen at the same time. But I am sure we will have lot of fun together in the same kitchen. We are eagerly looking forward to next week when Jaya will be visiting us for a full 3 weeks!! Yay!!. So watch out for some interesting recipes which are yet to be churned out of our kitchen in the next few weeks! Nithu's Kitchen : Wow! have fun. Sure, we'l be waiting for your innovative and interesting recipes. What do you have today to share with us? why did you select this dish. 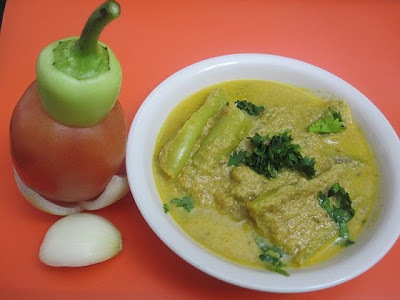 Harini : I want to share the recipe of Mirchi Ka Salan. This gravy curry occupies a very special place on our Dining Table. When we first ate it in a local restaurant here about 6 years back, my husband who is a lover of spicy food, instantly loved it and so I looked all over the internet and came up with this recipe. Needless to say this is very dear to us! I hope all of you will enjoy Mirchi Ka Salan just as we do! Nithu's Kitchen : Thank you girls. Enjoyed talking to you. 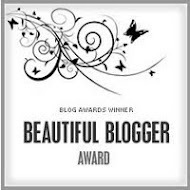 Harini & Jaya : Thank You Nithu for giving this opportunity to be featured in your blog. Friends, hope you all love Harini & Jaya's delicious Mirchi Ka Salan. 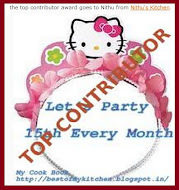 If you are interested to be featured as Nithu's Kitchen's Guest, please drop a mail to nithuskitchen[at]gmail[dot]com. superb interview- and great insight in to the talented sisters lives !nice recipe for the salan! Best wishes to Harini and Jaya! Great to know more about Harini & Jaya, mirchi ka salan makes me drool..
nice to know about harini & jaya...thanks nithu!! Good to know about you girls and looking forward to your recipes. Nithu, you have done a great job of letting us know about Harini and Jaya and of course Tamalapaku.. Mirchi ka salan looks yummy..